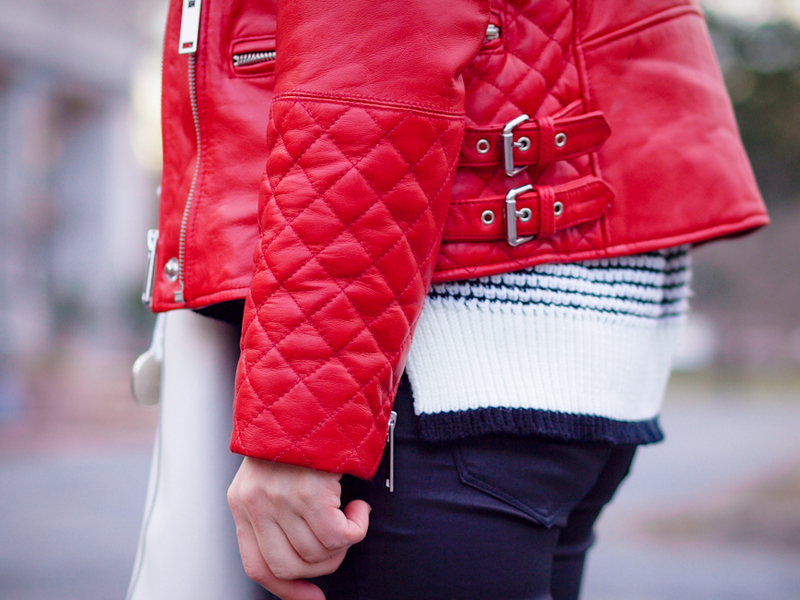 It is pretty obvious that I love wearing this RED leather jacket lately... blame it on color! Red is the new black and I can combine red with any other color from the spectrum :) also is the perfect pick-me-up shot of color after a dark winter! Looks soooo comfortable. I like so much your white bag. What a pretty jacket and bag! 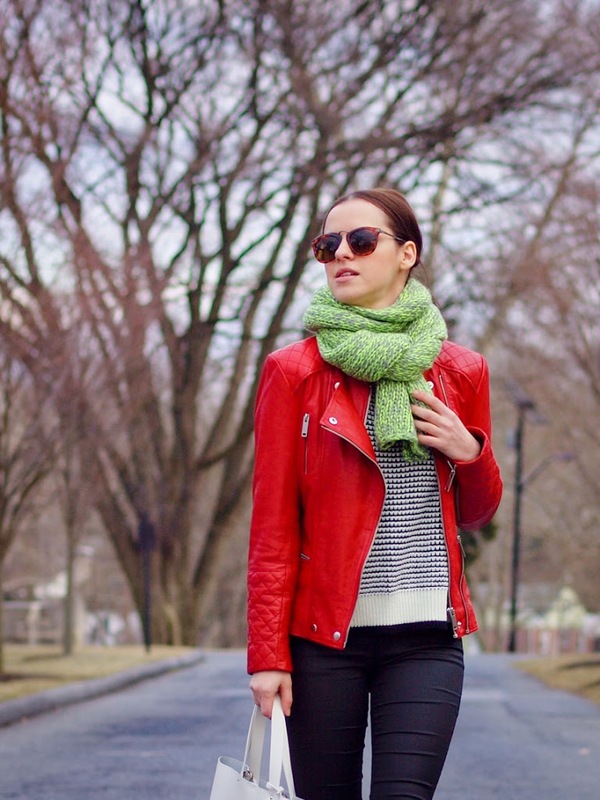 Your bright red jacket is so chic! And I love the mint scarf with it, such a cool but unexpected color pairing!